It's that time of the week! The time of the week that I get to features a few of the fantastic bloggers who link up at my weekly link party. It is the perfect time for you to see a few of the great posts and learn about a new blog or two. So, grab a cup of tea or coffee and enjoy some eye candy! First, a little business for the bloggers who link up at Real Family Fun. In the past, I would save the one (maybe more) post that I shared on my social media sites for the bottom of this features post each week. I'm experimenting with something different at the moment. I think I'm going to feature one of your posts each day on my social media sites (from Thursday through Monday or Tuesday). Those same posts will be featured here as well. I will most likely be looking for those posts on Thursday mornings, so if you want to be featured it will be best to be linked up by Thursday morning. I think we will all like this change. I'm hoping that it will draw more attention to your posts than just this features post. Double the exposure should hopefully do that. I really want to help promote your featured posts. In the long run I think it will simplify the process and save me a little time, which I will enjoy as well. 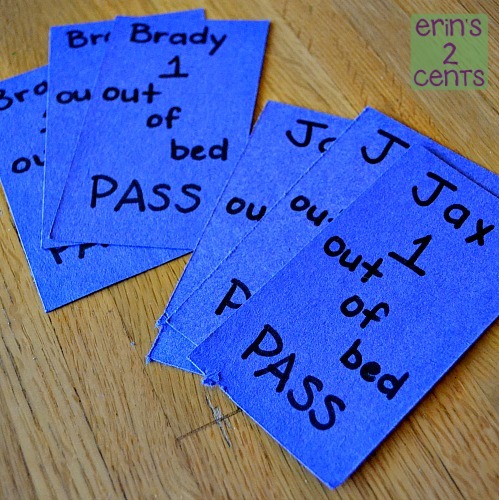 I love this fantastic idea from Erin's 2 Cents…just genius. Read her post about her new Out of Bed Passes to see how she has gotten bedtime a bit more manageable. 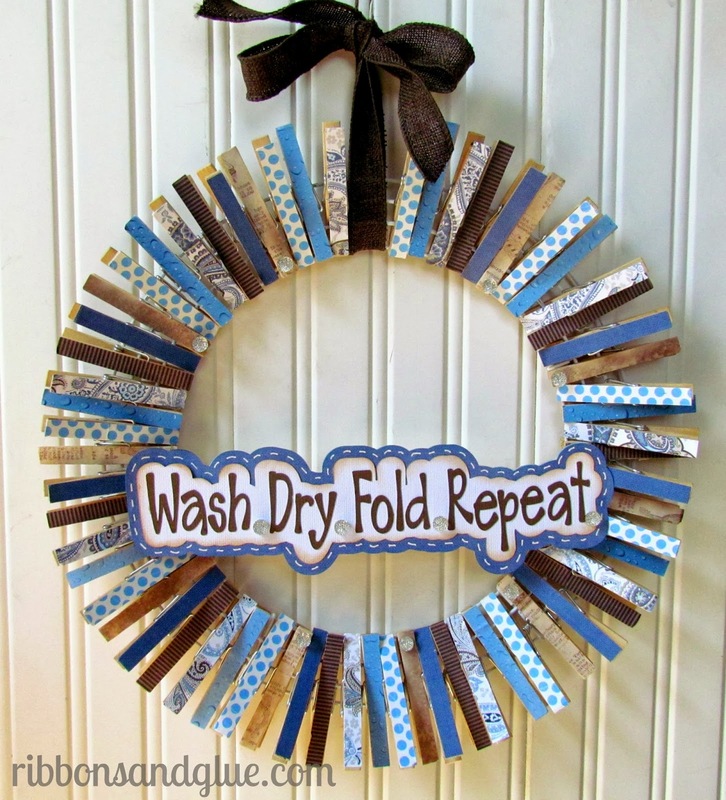 I have always wanted to make a wreath for my laundry room door. This adorable Laundry Room Clothespin Wreath from Ribbons and Bows just gives me more inspiration and motivation to get one made…one of these days. We have so much fun with food at Halloween time…do you and your family as well? 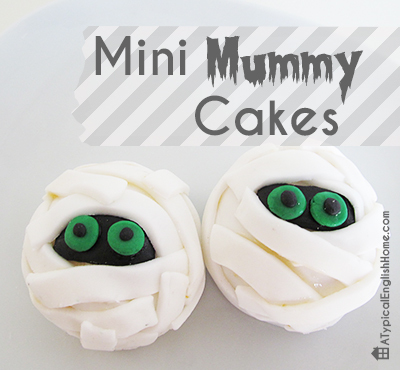 These Mini Mummy Cakes from A Typical English Home look so cute and yummy, too! A perfect Halloween treat. This Dia De Muertos! Spooky Dress from Sews and Bows is just darling! What a cute idea to add some additional fun to Halloween. 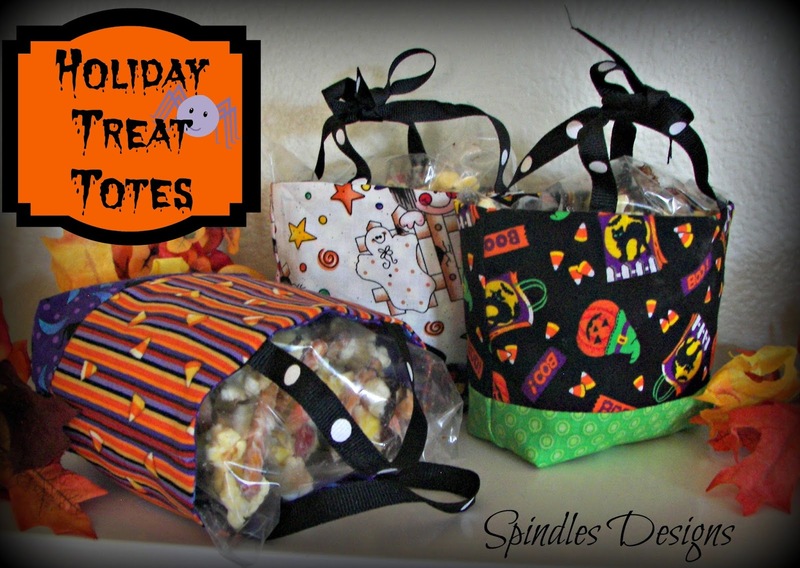 While we are looking at all these cute Halloween ideas, here are some Holiday Treat Totes from Spindles Designs. They look like the perfect treat bag for an American Girl Doll, too. I can't believe what a difference adding piping makes to these chairs. You have to see the before. 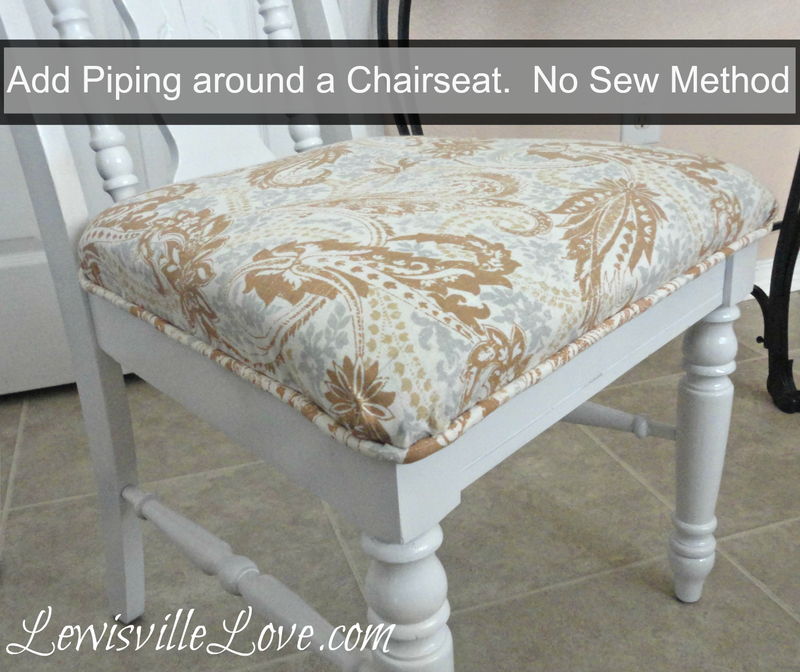 Lewisville Love has a great tutorial for you on Piping Around Those Thrift Store Chairs with new sewing involved. Thanks KC! I’ve been wanting that featured button! Woohoo! I’m so glad you enjoyed the features! Thanks for letting me know. Yay! You are welcome. I loved what you made…so cute. Well deserved feature. This outfit is so darned cute!